Last week the draft budget for the north revealed that over £100 million has been earmarked for investment in three sports stadium for the GAA, soccer and rugby. Apart from the obvious benefits for the sports there is significant economic benefit for the construction industry and for local businesses in these substantial investments. Casement Park, which was opened in June 1953, has been chosen by the GAA as the location for its new 40,000 seater Ulster stadium. Tens of millions will be spent in building a state of the art covered stadium. News of this multimillion pound investment in Casement Park got this blog thinking about Roger Casement. Roger Casement was not your typical Irish patriot. Although born in Dublin he was raised in and around Ballymena in County Antrim. He was a member of an Ulster Protestant family, a Knight of the British Empire and a British diplomat. He was also a gaelgóir who loved the Glens of Antrim. He was proud to be Irish. He was a thinker who took many of the weightiest decisions of his life whilst pacing on Cushendall beach. He was resolute in his opposition to British rule in Ireland and his goal was a free, united and independent Ireland. In 1913 he helped found the Irish Volunteers. He travelled to the USA to raise money for that organisation and was involved in the smuggling of German weapons into Howth in July 1914. Casement negotiated with the German government during the First World War for more guns and assistance for the planned rebellion. He was arrested by the British at Banna Strand in County Kerry in April 1916 three days befor the Rising took place. Casement was tried for treason and hanged on August 3rd 1916. Casement was very conscious of the role and history of British involvement in Ireland. And during his time as a British diplomat he also saw at first hand the impact of European Imperialism in Africa and South America. Casement wrote extensively about this and his efforts succeeded in bring some positive change to the lives of millions of people. 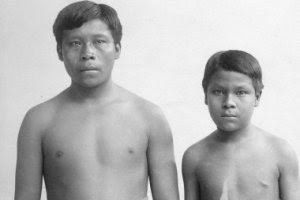 By coincidence last week this blog was also reminded of Casement’s role as an investigator of human rights abuses with the publication of two photographs of two native slaves from the Putomayo area of Columbia. These are believed to have been taken in 1911, and were discovered in the University of Cambridge’s Museum of Archaeology and Anthropology. What links them to Casement is that they are black and white pictures of two natives who were brought to London by Casement to highlight the human rights abuses of native peoples in the Amazon by British and other European companies. Casement had been sent to South America by the British government. He was appointed Consul-General in Rio de Janeiro in Brazil and was asked to investigate the use of slaves and the ill-treatment of local native people by a British rubber company. Casement visited the Putomayo region on two occasions. He submitted his report to the British Foreign Secretary on St. Patrick’s Day 1911 and in it he graphically described the atrocities being carried out by the rubber company. Omarino and Ricundo were Casement’s living proof of the abuses being suffered by the indigenous people. His purpose was to introduce them to prominent figures in British political life in order to raise awareness of the violence and to secure support for action to be taken against the companies involved. Dr. Lesley Wylie, who uncovered the pictures, is a lecturer in Latin American Studies in the University of Leicester and the images have been published as part of a research paper on Casement. In his journal Casement wrote: ‘My hope is that by getting some of these unknown Indians to Europe I may get powerful people interested in them and so in the fate of the whole race out here in the toils’. Casement’s investigation in South America was not his first inquiry into the use of slavery. In 1903 he had been asked by the British government to produce a report on the conditions in what was then called the Belgian Congo. Today much of Africa continues to suffer greatly from the consequences of European colonization and exploitation. 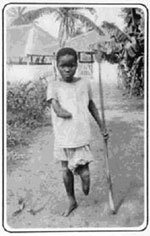 The experience of the Congo in the late 19th and early 20th century gives an insight into how colonialism works and its horrifying affect on local peoples. And like Ireland, where the initial excuse for English invasion as to ‘civilise the barbarians’, so too was this pretext used in Africa. 8 years later at the Conference of Berlin the European colonial powers, along with the Ottoman Empire and the United States, divided Africa up among themselves. Leopold established the Congo Free State, a territory of over two million square miles and it became his personal fiefdom, his sole property. He set up the Force Publique and military body run by white officers whose job it was to ensure that the Congo’s vast wealth and resources were exploited in Leopold’s interests. Rubber and ivory were the main products. Indigenous workers were mercilessly exploited. Many died from exhaustion and hunger and disease working on the rubber plantations. Resistance was ruthlessly suppressed. 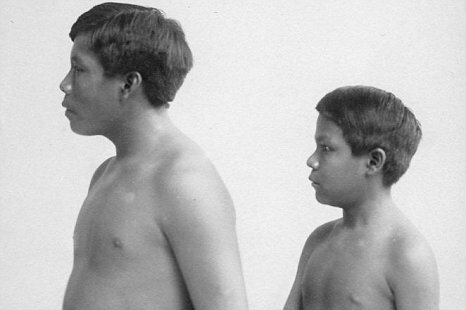 Victims were often whipped used the chicotte, a whip made of sun-dried hippopotamus hide with razor-sharp edges. Most victims were given a hundred lashes from which many died. Those who tried to escape or rebel were hunted down by the Force Publique who were ordered to cut off the right hand of anyone they killed. During Leopold’s reign it is estimated that half the population of the Congo or almost 10 million people died. This was the state of the Congo when Casement was asked to journey there and produce a report. Casement’s expose of the cruelty of Leopold’s activities created an international outcry which led to Leopold being stripped of his control of the Congo. Think of all this the next time you play in Casement Park or watch a game there. 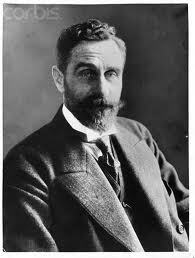 Roger Casement was a decent human being and a patriot. That's why they hanged him. Is beating on the door." Is beating on the door. " Go raibh maith agat Gerry. That's great news about Casement Park, but what really interested me was the biography of Casement, particularly in Columbia and Congo. I had no idea of his work there; I guess I took it for granted that he was an Irish patriot and never thought more about it. His work with Indigenous people reminds me of Bartolomé De Las Casas, who exposed atrocities of the Spanish against Natives in South America almost 400 years earlier. I wonder if Casement was aware of De Las Casas? Good Point Sean... Bartolome related well the atrocities of spanish people. Must read the true about columbus and his crews.